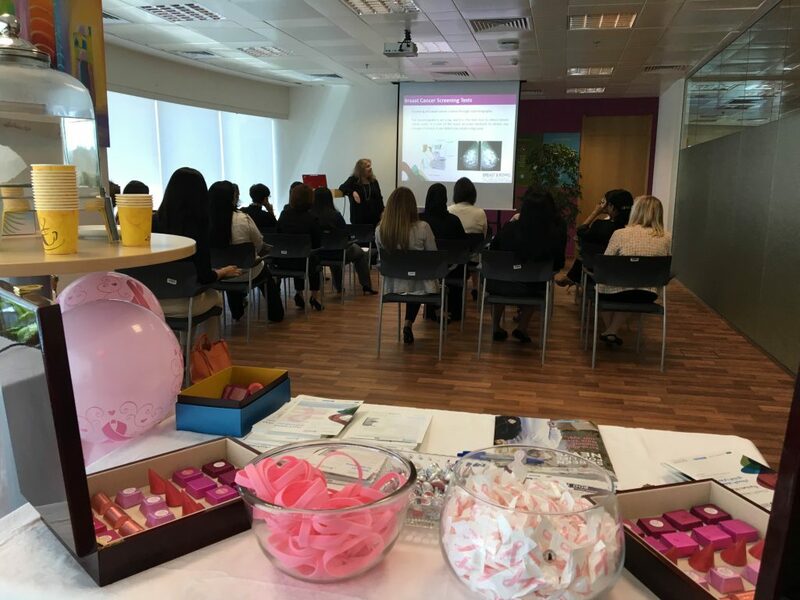 Breast and Bowel Screening Program held awareness lectures about breast cancer and the importance of screening at Qatar Financial Center on Monday, 26 Sep. The sessions were very interactive, and ladies were very engaged. They even had the place decorated in pink (balloons and chocolate).